My wife Mary and I are in Nevada with our Conservative Campaign Committee team campaigning for Ted Cruz. We awoke this morning to snow. Mary asked me to walk several blocks from our hotel to Walgreen’s to pick up a few things. With my headset plugged into my smart phone, I listened to Ted Cruz’s press conference during my trek. Wow! Cruz’s brilliant bold performance at that press conference showcased why America desperately needs Ted Cruz in the White House. The MSM (Democrat operatives) tried to use Obama’s talking points to pressure Cruz and the GOP into allowing Obama to appoint a flaming liberal to the Supreme Court in his remaining months. Cruz did not fall for it. He firmly said no; not happening. Later, a CCC team member sent me video of Ted Cruz featured on CNN’s Republican Presidential Town Hall hosted by leftist operative Anderson Copper. Once again, Cruz’s confident stature and performance blew me away. With a smile, Cruz brilliantly touted Conservatism despite being in the belly of the leftist beast; in the presence of his enemies. Cruz boldly rebuked Planned Parenthood for possible criminal activity winning him audience applause. In other words, Cruz remained Cruz; no moderating his message to pander to liberals and low-info CNN viewers. http://bit.ly/1RSW0xu Now that’s what I’m talkin’ about folks. A stirring in my soul told me, “Oh my gosh, as patriots, we can not allow this man to get away; blow this extremely rare opportunity to elect a true thoroughbred conservative Reagan-ite – only to allow Cruz to fade away into the sunset. Ted Cruz is truly the one that we have been waiting and praying for. 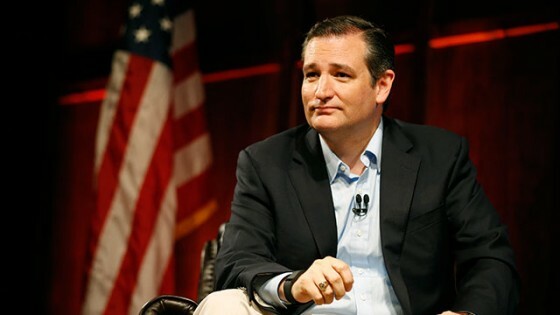 Obviously empowered by his faith and the knowledge that he has right on his side, Cruz confronts the GOP establishment, the Democratic Party and their MSM henchmen. Cruz boldly demands, let my people go.